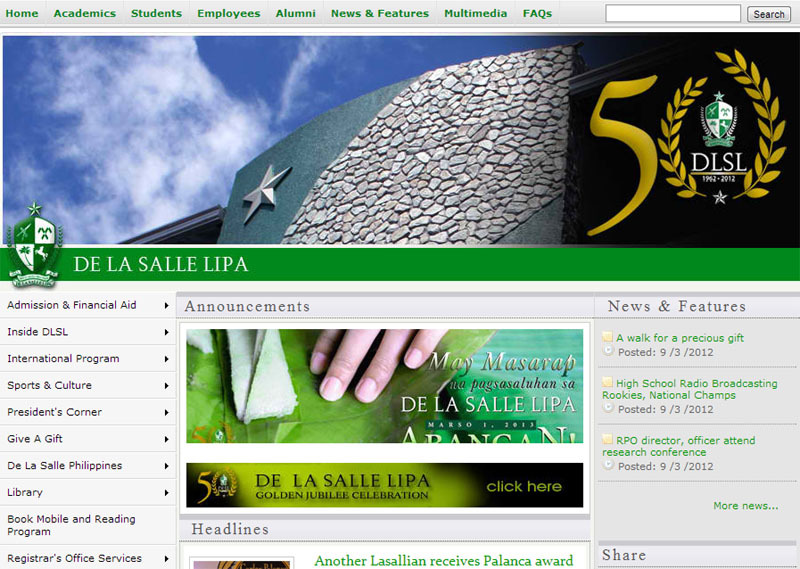 To the straightforward, the obvious choice of a domain name for De La Salle Lipa always was dlsl.edu.ph – as it is these days. Of course, at around the time that the school finally went online with its very first web site as far back as 1997, De La Salle University had been online for a few years already. Its domain name was as it is today – dlsu.edu.ph. Few things, however, were ever straightforward with the Brother Lolo – the late and great former President Brother Rafael Donato. It was not so much that he was complicated – although he could be that – it was more that he saw things differently from the likes of you and I. To say that he was artistic is an understatement. He loved beautiful things and was unimpressed by the prosaic. Even for something as mundane as a domain name for a web site, he wanted oomph. That was why when the school’s first web site finally went live in late 1997, it was with a domain name that he himself thought of: lasalipa.edu.ph. Stylistically, the name was so Brother Rafael. Out of respect for Brother Rafael, we continued to register the lasalipa.edu.ph domain name for a couple more years after we went live with dlsl.edu.ph. This also gave web visitors who were familiar with the old name the time to take note of the name change. Alumni who graduated in the late sixties and also in the seventies will recall that the annual school fair in February used to be called the ‘Lasalafair.’ That name - or so Brother Rafael loved to tell – was something that he thought of as well when he was Principal in the late sixties. Initially, there were no issues with the domain name. The Internet was so new to these parts that the web site could have been named bukohan.edu.ph and nobody would have thought anything odd. It was much later when we started professionally marketing not only the web site but the school and its emerging programs that the domain name started to become something of a source of annoyance. The problem was not internal. Everyone in school knew what the web site’s address was; and one only needed to type in the full domain name into e-mail software clients but once. As our range of contacts started to grow and inquiries started to pour, spelling out the domain name for people asking for e-mail addresses or the web site’s address also became proportionally cumbersome. If anyone failed to spell out the domain name to a caller, there invariably was a call-back because of a 404 error. Inevitably, people who did not ask for the spelling typed lasallelipa.edu.ph into their browsers. I broached the possibility of having the domain name changed to dlsl.edu.ph to Brother Rafael once and was harangued for my effort. Of course, he was having none of it! 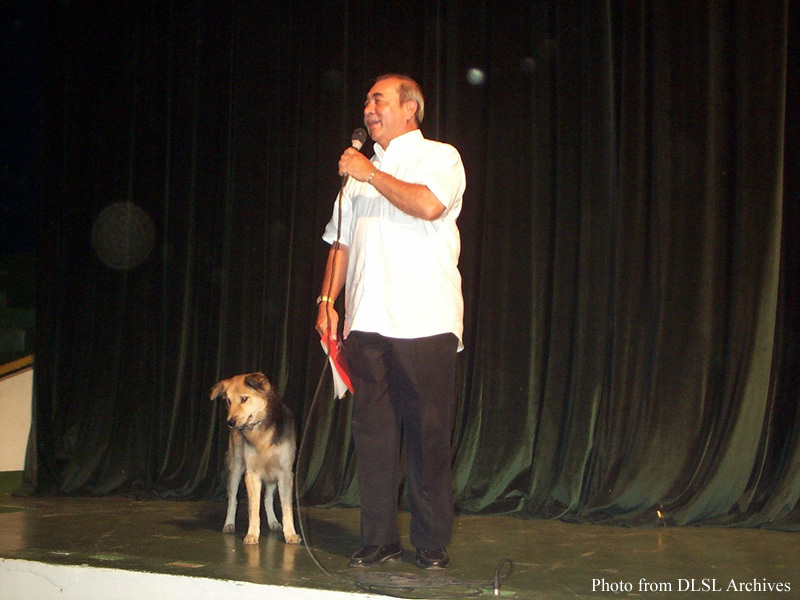 In 2003, Brother Rafael retired from active service although he remained on campus for another year as President Emeritus. My new boss was former Board of Trustees member Sonny Lozano, who resigned his position in the board to head school operations as Executive Vice-President. Among the first things that I referred to Lozano was the problem with the domain name. Apart from the impracticality of the existing one, there was also the risk – albeit a small one – of a PLDT. 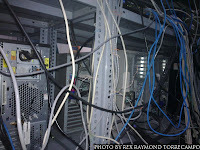 Older Netizens will recall that a former PLDT employee registered a domain name similar to the company’s and set up a web site with which he wrote negatively about his former employer. Lozano came from the business sector and immediately understood where I was coming from. I do not think that it took me longer than two minutes to get his verbal approval for a change in domain names. The first school web site was designed by a group led by Sanny Leviste, a former employee who was in charge of the fledgling graduate school and the school’s newly acquired technology. Because I was Director for External Affairs and was doing publications, anyway, it was almost a natural progression for me to take over the design and maintenance of the web site, webmastering as I did on top of the gazillion other things that I had to do. We made full use of the web site for marketing purposes. When I went up into executive management in 2005, it was impossible to keep webmastering for obvious reasons, as I was to directly manage six diverse administration departments. That was when we hired Jerwin Lasin, a Lyceum graduate, who maintains the web site to this day. 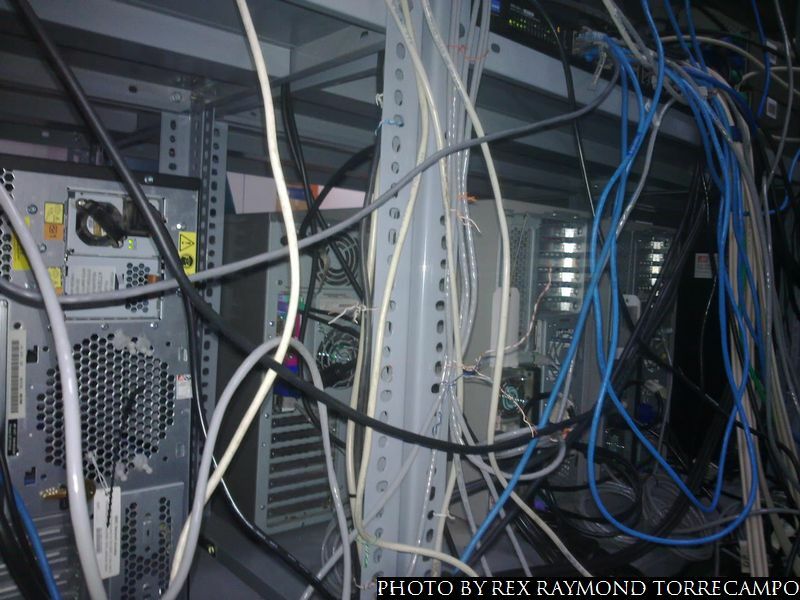 On the hardware side, the setting up of the servers that hosted the web site and employee addresses was first done by alumnus Allan Lucero when he was still an employee of NetQuest, the school’s first ISP. Lucero later was absorbed into the school and for a decade or so continued to be the big daddy to all the servers. 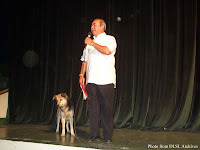 These days, that role is performed by JC Luna, an alumnus of the college.